I mentioned in last week’s status post with my Minecraft Mega Man project that I had basically finished the Mega Man 4 section. Well over the New Year holiday week I managed to sit down and truly finish out that section. 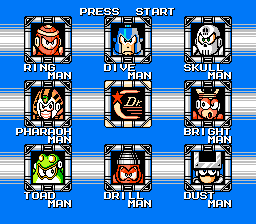 Both the Stage Select and Title Screens were already done, and now all eight Robot Masters have their initial sprite created, along with Mega Man using each weapon. While I was working on that sprite field, I decided to also include the actual weapon sprite, as well as the icon that is in the pause menu for each weapon. Looking back I would have liked to put a bit more organization in how I aligned them – as it is, they’re put down in the order I would suggest tackling them in the actual game, but it looks kinda sloppy from above. If I was starting over right now, I would have separated out the Robot Masters from the weapon stuff – still using that order. I would have put the RMs and Mega Man sprites in separate groupings, finally putting the pause icons grouped together at the end. In the end, the nice thing that came out of the rather messy organization that I went with is that I was able to put in an extra Mega Man sprite using the Wire Adapter, firing it from the very bottom to the top of the field. I got lucky as well in that I had just enough space to put in Dr. Cossack’s mugshot as well. In the end, I’m pretty happy with how Mega Man 4 turned out, and it’s encouraging moving forward to have a pretty solid base down. OneDrive is still being kinda weird, only allowing me the option to embed my whole Xbox DVR folder, so instead I can present to you a link where you can check out the final product here. And so with that section of this grand scheme of mine done with, I started late last night on the next step. 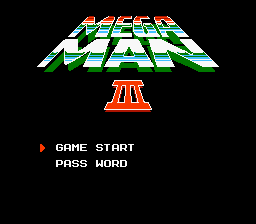 I moved on to the Stage Select screen for Mega Man 3 – which I’ve mentioned before as the one screen that I have been the most apprehensive about doing. Last night’s work – about 2 hours worth – showed me two things. First was that it still feels really good to put the final touches on those mugshots – pulling up after and looking at it and seeing just how good it turned out is an awesome feeling. The other was that this is going to be much slower going than Mega Man 4 went. The added “Mega Man III” that is littered in the background slows down filling in that section of the screen; while the actual mugshots have a bit more complicated frame around them, which does have a pattern that makes it not totally insane, but it will be a bit slower going I think. As far as progress, I just completed Gemini Man last night, picking a corner piece to start with, which gives me a bit of flexibility as for where to go next. 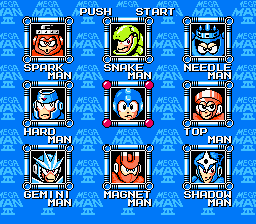 My thought is finish the bottom row – meaning Magnet Man and Shadow Man – along with the “Mega Man III” details before heading up a row. 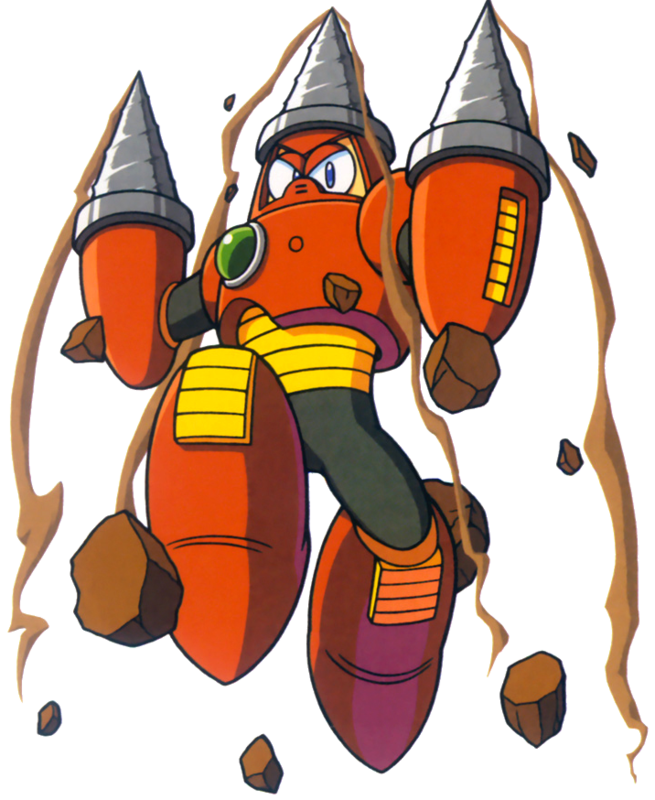 One thing that I’ll be dealing with soon is the amount of red in the mugshots – Magnet Man, Top Man, and Spark Man all have red color schemes. Which is one of the two major colors Minecraft doesn’t do particularly well – the other being green. The nice thing is that with the new dyed clay options, there are a few more potentials – I used the clay while doing the sprites for Mega Man 4. If they give me the better look, I’ll use them for the red ones – I doubt I’ll need to with Snake Man, since he’s a bright green for the most part. In the end, Mega Man 3 could end up looking really really slick, but both the Stage Select and Title screens are going to be tough sledding. The Title screen in particular is a whole lot of nothing – lots of Black, which might make it easier to slip up. That’s a ways off though, for now, I’m focused on the Stage Select screen. With this week’s Minecraft Monday update, I’m able to share my progress with the Mega Man 4 Stage Select and Title Screens. Each screen is 256×224 – pretty typical for old NES games. While that doesn’t sounds like a lot considering YouTube videos run at a way higher resolution nowadays, what that number really means is that each screen features over 57,000 blocks. This is easily the biggest scale thing that I’ve ever worked on in Minecraft, in Survival or Creative. I went ahead after completing the two screens and made a clip on my Xbox One showing off the hard work. The video can be seen here, thanks to OneDrive not letting my embed the file right now. Without knowing 100%, since I never actually timed it, I would guess that those two screens took about 20 hours total to make. 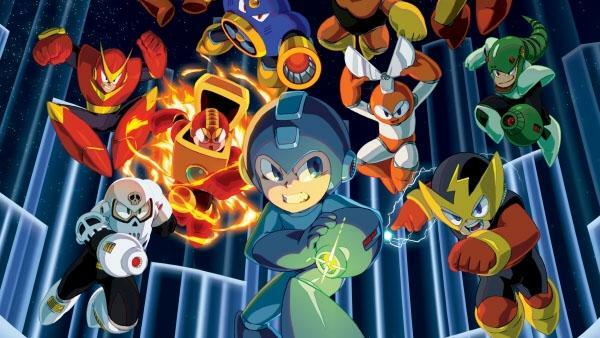 Which brings me to the plan for the next step in Mega Man Land. 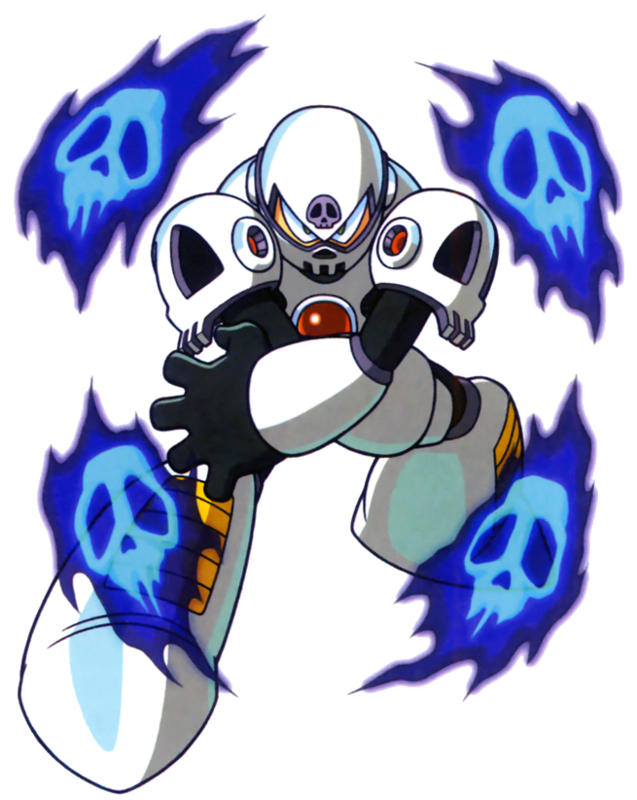 Screen-wise, I have completed my Mega Man 4 screens – the only other MM4 things I want to do is create each Robot Master’s sprites as massive statues, along with Mega Man himself using each weapon in the game. The size on the sprites won’t be quite as big as for the full screen images, but each one will still be pretty tall. While I could scale them up a bit, instead I want to make them 1:1 scale still. The hardest part of this next step is that I’m building them vertically – as opposed to horizontally along the ground. This means I really have to make sure each line of pixels is exact, in order to minimize the amount of going back and re-working things. But the next true major section of Mega Man Land that I will begin work on this week is starting the Mega Man 3 screens. 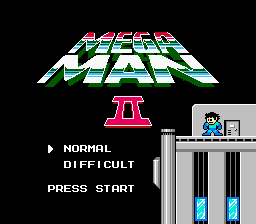 Like I did with MM4, I’m going to start with the stage select screen; I’ll most likely start with Top Man, just because it’ll be easy to start with a middle side portrait. The real trouble with this stage select screen is the detail in the background – that repeating Mega Man III isn’t going to be fun to deal with. In general, I think this screen will be more complicated, in all respects, than MM4. The portrait frames aren’t exact squares, thanks to those lights on the corners. There are three Robot Masters with red as their color scheme – which is the worst color for working with in Minecraft. Hopefully the newest console update, which added dyed clay, might offer some extra options. The good news is that the other Robot Masters use pretty simple colors that work well in Minecraft – blue and green. 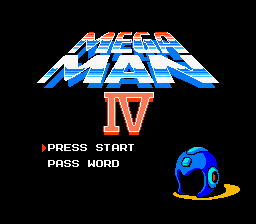 This might be a slower go than the MM4 screen, but in the long run might look pretty damn cool after it’s done. The other tough part is the Title Screen for MM3 – it’s a whole ton of black. While that might seem easy, in truth it makes it really easy to mess up. All things considered, this is the game that I definitely want to make sure I get a timer going whenever I work on this one. I honestly fully expect this to take longer than the last game, so I might go with the MM4 sprites first – we’ll see.